The bed bug is found worldwide and still occurs more often than people may think. They are a parasite that feeds principally from humans at night, but also from dogs, cats and even rodents. The bugs generally hide by day. The insect is not a known carrier of disease; their importance is more associated with unpleasant irritation from their bites. Bed bugs shouldn't be confused with dust or house mites that we all have in our homes and can't be seen with the naked eye. Bed bugs are in fact quite visible and evidence of them can be seen in an infested area. Although we use the term bed bugs they don't only infest the area in and around the bed, Bugs can also be found behind pictures, in bedside furniture, wardrobes and also cracks. Females will lay up to 200 eggs in these areas. Bed bugs have to be introduced to a property and will not just appear in your bedroom. Treatments should be carried out by a competent pest control operative as they can be difficult and very time consuming. Some may also need protective clothing to be worn. Bed bugs are extremely hardy and can go without feeding for many months, making it almost impossible to kill them through starvation. Avoid buying second hand bedroom furniture from an unknown source. When travelling, check the areas around the beds where you are staying. 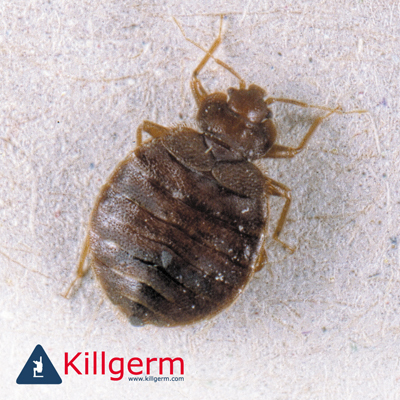 If you suspect you have an active bed bug infestation we are on hand to offer assistance. We respond within three working days. Owners/occupiers of property/land have a legal responsibility to control pests on their premises. Before any treatment is given, one of our pest control officers will carry out an initial inspection – there is no need for any preparation work before this. Book an appointment.